Our whistleblower attorneys help employees and patients of skilled nursing facilities report health care fraud against Medicare and Medicaid in violation of the False Claims Act. Medicare currently pays for the nursing home stay of a patient based on the number of days and the number of minutes of therapy provided. As a result, Medicare paid more than $30 billion for services to skilled nursing facilities in fiscal year (FY) 2012. According to a report by the Office of the Inspector General (OIG), approximately $1.1 billion dollars paid in the 2012-13 time period was inappropriate. 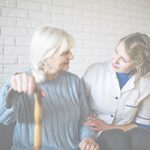 Even the acting administrator of the Centers for Medicare and Medicaid Services has admitted that the current system incentivizes nursing homes to provide as much therapy as can be tolerated. Among the behaviors seen at companies that have had charges brought against them are corporate pressure to meet unrealistic financial goals and prospective billing goals designed to increase revenues rather than appropriately treat patients. Facilities have also threatened to terminate staff members who did not administer additional treatments to increase billing. If you have evidence of a nursing home provider or assisted living facility engaged in Medicare or Medicaid fraud, please contact our office at (800) 590-4116 for a free, confidential initial consultation with one of our whistleblower attorneys. The False Claims Act allows individuals to report health care fraud against the federal and state governments and earn a reward based on the amount recovered by the U.S. Government. There are a number of different fraudulent schemes that have been executed by nursing homes or have happened at SNFs. According to the Wall Street Journal, rehabilitative therapy (physical therapy, occupational therapy or speech therapy) is often delivered to patients who are unresponsive or don’t want the services. When these services are provided by a contractor rather than the SNF, the SNF can be responsible for its failure to appropriately supervise the third-party provider in its facility. Additionally, nursing home patients with medical conditions that require only a certain number of days of care before discharge may be improperly kept in the facility for extended time periods in order to allow the nursing home to fraudulently bill Medicare or Medicaid. If staff members are inflating the number of hours they provide therapy services, these claims for payment are false and in violation of the FCA. 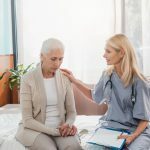 This may be accomplished in a variety of ways, such as reporting time spent on initial evaluations as therapy time, reporting estimated / rounded minutes of therapy, or counting time on unskilled palliative care as reimbursable skilled therapy. Skilled nursing facilities are compensated via a bundled payment to cover all of their needs. No separate reimbursement is provided for medical devices. If a medical device or DME provider is misrepresenting the location of the patient in order to obtain reimbursement for a device that should be covered in the SNF bundle, they have violated the FCA. Nursing homes are paid by Medicare to provide adequate care on a daily basis. If they are falsifying medical records, not providing medication as prescribed, failing to follow protocols (especially concerning pressure ulcers or falls) and have insufficient staffing levels, then the claims submitted to Medicare and Medicaid may be considered false (as if they were not provided). Facilities face a potential lawsuit under the False Claims Act when they do not provide adequate treatment to their residents. Ghost Positions – The salary of doctors serving as Medical Directors can be an improper kickback if it is used to compensate them for patient referrals. In many cases, the doctor received a salary even though they were required to perform few, if any, of their contracted job duties. Kickback laws prohibit both the payment and receipt of improper referral fees. 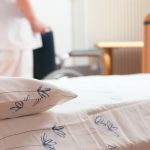 As such, Skilled Nursing Facilities can be prosecuted for the receipt of improper benefitswhile in a referral relationship prohibited by Medicare or Medicaid. 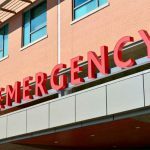 These improper relationships can include providing contracts for lucrative Medicare and Medicaid patient transports in exchange for receiving free or heavily discounted ambulance transports for other patients. Additionally, another example of improper conduct is the providing of contracts to pharmacy companies who enter into below-cost contracts to supply prescription medication and other drugs to the facility and their patients. If you suspect a possible violation of the False Claims Act and have evidence of the wrongdoing, please contact our whistleblower attorneys to discuss the benefits and drawbacks with reporting it to the U.S. Government. We can be reached via our contact form or by calling 1-800-590-4116. 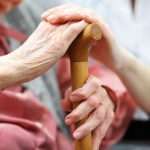 How Staffing Violations Cause Nursing Home Injuries?